A little-suggested topic is a bit different today. I'll tell you first where this idea came from, keep listening. It's interesting. The day before I started writing the article, one of my friends called me on mobile. We talked and then suddenly he told me a fact about the USA, about which we all have a misconception. Here, I clicked on the idea the idea, why not I write whole on it? One thing, The fact that he had told me was shocky even I was considering it true before that phone call. That it obliged me to write on it. So, From all of this, I just want to clear writing material doesn't come from the sky but we have to find it in our environment by observing what's happening around us. 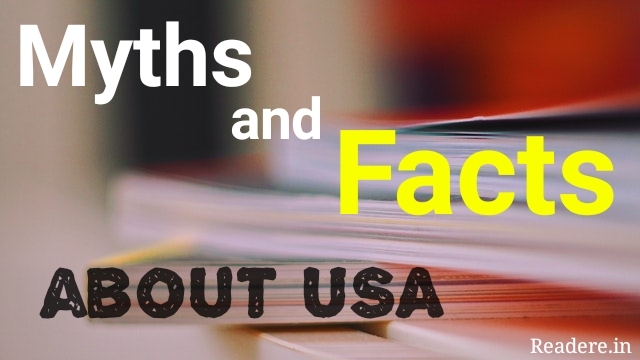 OK. Now, I'm presenting 10 myths & their fact about the USA (not including my friend's fact) which people over the world still takes wrong especially Indians. Then let's go for it. This is one of the biggest misconceptions among people. You don't have to be rich or talented to come to the USA. There are many average people with very average academics who can't even get jobs in India and those from middle-class families are coming to the USA. This is another misconception raise in our mind. We think everyone in the USA is rich but not really. More than 70% wealth of the USA belongs to 3% population. Many families have to live on footpaths. Many people can't even afford education beyond schools. We, outsider, think that the USA is a dream country because of the tall building, hi-fi build society, and some such other misconception. It is one of the best countries. Everybody wants to go there. There's no doubt in it. The USA is among top countries in terms of quality of life and places to live but not definitely at 1st place. There are many europian countries far better. 4. Things are cheap in the USA- People think everything is cheap in the USA. There are a few things which are cheaper in the USA as compared to India like electronics and cars but not everything. Things like Healthcare, education, house rent etc are very very expensive. 5. The USA has tall buildings everywhere- Yes. There are tall buildings but not everywhere. Tall buildings are there only in big cities and in Downtowns. Rest is flat and most have independent houses & small apartments up to 2-3 floors. It's a fact that there is no country in the world without corruption. Talking about the USA, then the crime rate is much high there. It is not true. More and more girls looking for serious partners than the hookup. No, there are creepy things too. Rich people are rich but normal people still have to work hard for the living. It means it does not matter what country it is, rich and poor people are found in every country. But it is obvious that not everything is fancy as shown in Hollywood movies. No, it's not as safe as compared to India. In India, we can walk at night without fear but in the USA, it's not safe to do so. As I already mentioned above that crime rate is high in the USA. Again saying, It ranks much higher in terms of robberies, shootouts, and other crimes. You'll be shocked to know that even someone might get shot next to your street and you'll never know. I know some of the fact above were easy to guess, but still, I think you were in confusion about your guessing. Whatever it is, at least it cleared your few misconceptions about the USA. You should read both Myths and Facts. Study of hoax matters but along with the cause of hoax, along to know people who are spreading it and, result how it will affect society. Reading a hoax and immediately believe it is not a sign of wise-person. 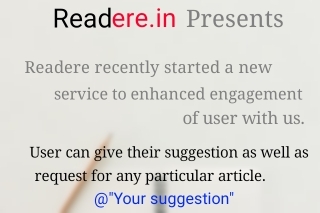 Please let me know how was the article?